The workplace is changing. We’re out on the road, working from home, and partnering with complementary businesses. Through it all, we rely on our mobile devices – tablets and smartphones – more than ever. One thing’s for sure: mobile computing is here to stay. Stay in step with technology by implementing full mobile printing solutions in your office. Meets the demands of the nimble, remote workforce. Take your tablet to visit a client, work in a coffee shop, or host a meeting with your partners – all with full printing functionality intact. Frees up staff and IT time – no more printing documents for other people. If you’re out of the office or simply in another part of the building, working on your tablet, there’s no need to email documents to your admin for printing. Simply print from your tablet, and keep your admin focused on core business. Prints from any tablet to any of your networked printers over WiFi. Forget about fussing with different drivers for each tablet and printer. Liberate your IT staff from managing unique drivers for all different print devices. Is completely secure. 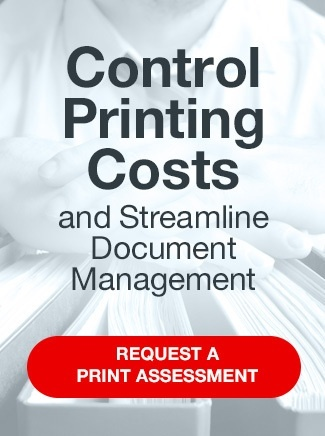 SymQuest Mobile Printing solutions boasts a high level of security so confidential information stays that way. Got a sensitive document? Take advantage of document storage and retrieval and authentication functions and eliminate the possibility of wandering eyes. Supports all popular formatting. You won’t lose any formatting features of Word, Excel, PowerPoint, and PDFs when you print from your mobile device. To find out how to optimize advances in technology with Mobile Printing, contact us today. Call us at 1-800-374-9900 or email info@symquest.com.